As an offshoot of their Sonicbond music label, Summer’s End Festival supremos Huw Lloyd Jones and Stephen Lambe have recently initiated Sonicbond Publishing, their current crop of releases including a variety of film and sound related titles, including this edition on Yes from Stephen himself as part of their ‘On Track’ series. At a little over 140 pages it’s a handy size, and rather than a comprehensive in depth history of the band it uses a chronological revisiting of every track recorded by its chosen subject to help tell the story of their career arc over a remarkable 50 years. Dedicated to the departed and sorely missed Chris Squire and Peter Banks, the book commences with a nice introduction that gives a concise overview of Yes’ career, there follow brief outlines of the main characters to grace the band’s line up down the years and an interesting discussion of Yes cover art, with particular reference to the iconic sleeve designs painted by Roger Dean. 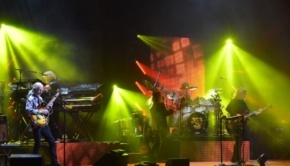 Stephen successfully nails the band at the end of the prologue – “Joyous and slightly uncomfortable” is one of the best descriptions of Yes I’ve ever heard! The layout for the main body of the book is a discussion of each album, starting at the beginning with 1969’s Yes and going right through to the ‘Return Trip’ of Fly From Here, released in 2018, including a paragraph or two for each track. Bonus tracks from reissues are included but a wise move is not to include other live tracks and demo versions as it’s easy for all things Yes to quickly get out of hand! It is a very enjoyable read as a whole but the layout also makes it a useful reference tool for dipping in and out of, album by album. 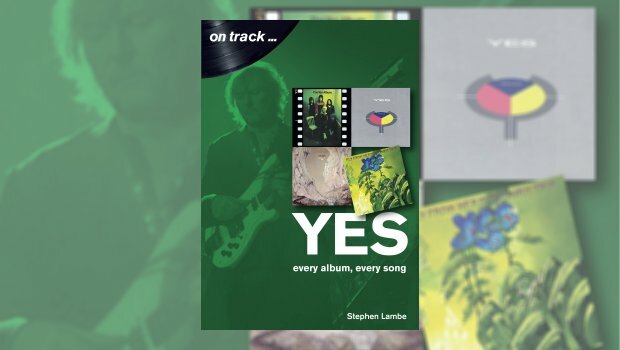 Stephen’s style is informative and easy to read, and even though I’ve read many Yes-related books over the years there are still a number of info snippets that were new to me (possibly via the ‘insights’ provided by Oliver Wakeman and Bill Bruford). Another choice observation, when discussing ABWH, is that “Yes fans love to be vehemently opposed to things” – Oh yes, don’t they just! – and he’s bang on about Man in the Moon from the generally shite Open Your Eyes album. It’s nice to see the underrated Magnification getting some love too. Stephen’s enthusiasm for his subject shines through. He’s critical where he needs to be but as a fellow Yes-aholic, I completely understand his position. He does get a little bogged down in describing the arrangements of the more complex pieces (I’m looking at you Close to the Edge!) and uses side remarks slightly too often, but that’s a small point. An interesting aspect is the comparison of studio tracks with their live arrangements through the years. Stephen adds personal thoughts, but nothing too controversial, and ensures that the informative nature of the work remains intact. The only album featured in the book that I haven’t heard is Fly From Here: Return Trip. I just couldn’t understand the point of it when it was released, however the discussion around the two versions of the album is interesting and has made me want to check it out. 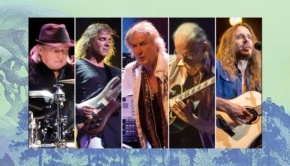 The Epilogue section bringing the current ‘two band’ Yes situation up to date is a valid way to finish the main piece but worthy additions are chapters on Compilations & Video Biographies, Live Recordings, tribute releases to round things up at the end. There’s also a discussion of twelve unsung Yes tracks that you should revisit. There are no photos or images within the main body of the text, which can make it a bit dry, but they are present, accumulated in the central dozen pages or so for practical printing reasons, featuring all of the main album artwork plus some live shots, ticket stubs, the Rock ‘n’ Roll Hall of Fame induction in 2017, a couple of images from early documentaries and a few other related items. However, despite the obvious enthusiasm and research that has gone into this book it does seem a little thrown together in that the attention to detail is just not there, the number of typos, grammatical errors and wayward conventional formatting is very surprising, to say the least. Many are likely to be of little consequence, except to text correctional zealots, but others are painfully glaring and niggling in the extreme, tarnishing what is otherwise a worthwhile read. I’m assured that these are problems with the first print run that will be fixed in time for the second run and the digital version, I hope so as this lack of quality control doesn’t reflect well on the publishers. Overall though, this is a worthy addition to the groaning shelf of Yes books currently available, I enjoyed reading it and the discussion inspired me to dig out lots of tracks – and indeed albums – that I hadn’t heard in years. There’s a nice sense of the career unfolding too, without the need to rely on all the detail. 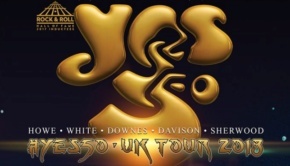 I’ve loved Yes for decades but they really are the most infuriating band ever. This book underlines what is so great about them – the music. Mostly.